Welcome to Underhållsmässan, Europe's No.1 Maintenance Trade Fair and Conference, 10-13 March 2020. 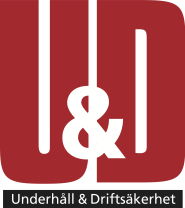 Underhåll (the Maintenance Trade Fair and Conference) is Northern Europe’s largest and fastest growing meeting place covering all aspects of industrial operations and maintenance. An industry-wide forum where technicians and decision makers right across the maintenance value chain can see the technology of the future and share experiences. There is simply no other event that deals with maintenance-related issues with the same breadth and depth. Thousands of visitors working in all industrial and real estate sectors develop their maintenance strategy based on what they learn here. Welcome to Underhållsmässan 10-13 March 2020! Tell us about your biggest challenges. There could be people from companies you would be interested in listening to at Underhåll 2020. Send an e-mail to us and we’ll get back to you. Maintenance is a collective term for measures taken to avoid breakdowns and failures of systems and products (preventive maintenance) or measures taken to repair systems or products that have already broken down or failed (corrective maintenance). Both kinds of maintenance work have common benefits – they improve the reliability and extend the service life of products and systems, which also increases their availability and profitability.